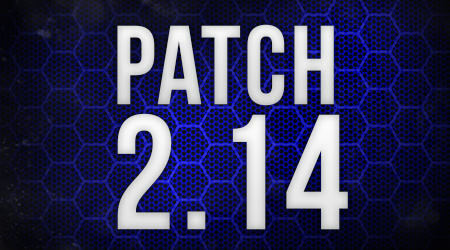 The long awaited patch is finally here! Just hold tight a little longer as we will not be patching when we release these notes but we will release this patch by tomorrow morning! Please keep in mind that the size of this patch is averagely big (compared to other patches) and when we release this patch tomorrow morning there will be a little bit longer downtime than usual. Sorry for this. This patch contains a lot of new features for the game, fixes, crash fixes, optimizations and more. As we mentioned earlier is that we are constantly trying to find the right balance between all the work where we spent an equal amount of time on each subject per patch. We think it's important that crashes get fixed, we also think it's important players have a good performance when playing the game, but at the same time we also want to make sure that we add some new content for you guys in the game. Fixed some render distance issues in Caliwood and Colorado V2. Fixed some texture issues related to the super zombie / alien super zombie. Fixed a muzzle particle crash. Improved the overall system. Fixed an issue related to moving skins in the global inventory. The right-peak has been improved so that players can no longer abuse this. We have done a lot of changes to the right and left peak animations but apparently players were still able to abuse this peaking when moving backwards. This has now completely been fixed. The player's animation will no longer reset when opening the inventory / tab list. This means you can now open your inventory when being crouched (for example) without standing up. This was really annoying for players and we are very happy that we have been able to fix this. Deluxe and Extreme subscriptions (accounts) now also show in the "dead" menu. For example when a player kills you that has an active extreme subscription the "dead" menu where the weapon and information shows will also have a border showing that player's extreme border. Improved the fast load system. Removed random spawn system from some PVP maps. Updated the in-game menu background. Added working physics back to dropped items. Remember than you can disable this in the options. Added visual UI statistics for medical items and food. Ping limited servers will now show at the top of a server list instead of at the bottom. Making the game more stable overall with less crashing. Optimize the game in any way to give players more FPS and faster loading times. At the same time make the game look better especially in ultra/high quality without affecting performance. Optimize all overall game quality settings. By this we mean to make pretty much every overall quality such as ultra, potato, etc more optimized. Fixed an issue related to one of the zombie spike's legs where there was no texture. Fixed an issue related to the render distance of the military tents/barracks. Fixed an issue related to the render distance of the propane tank object. Fixed an issue related to the render distance of signs and billboards. Increased the render distance of shipping containers. Increased the render distance of hay stack objects. Decreased the render distance of smaller military props. Decreased the render distance of smaller town props. Keep in mind that the decreasement of render distances is only done to give players better FPS and performance while at the same time not break the game. With "not break the game" we mean that it could happen that some objects have too low render distance, making it for example that you see a player that's behind the wall and you don't see the wall. This is obviously not how we want it so if you experience this, please let us know! There is always room for improvement! Fixed several errors related to material libraries of objects and material types. Fixed several English lang pack errors. Vehicle system has been improved. Car weights should make more sense now and should be easier and better to drive overall. Players no longer get teleported when exiting vehicles. If these issues still happen please let us know. Players can no longer use car spawners in official servers anymore. Players can ONLY use car spawners in private servers now. The "Buggy" has been reworked and re-rigged. This to fix the exit positions of players and to optimize the model more. This is also done to prevent players from randomly teleporting when exiting the vehicle - the old rig didn't support that fix. Also, armor plates have been removed from the windows as we plan on making it easier for players to shoot people inside the vehicle. The "Stryker" has been reworked and re-rigged. This to fix the exit positions of players and to optimize the model more. This is also done to prevent players from randomly teleporting when exiting the vehicle - the old rig didn't support that fix. Also, armor plates have been removed from the windows as we plan on making it easier for players to shoot people inside the vehicle. The "Zombie Killer" has been reworked and re-rigged. This to fix the exit positions of players and to optimize the model more. This is also done to prevent players from randomly teleporting when exiting the vehicle - the old rig didn't support that fix. Also, armor plates have been removed from the windows as we plan on making it easier for players to shoot people inside the vehicle. The "Zombie Killer Bus" has been reworked. Fixed the issues with the wheels, fixed some collision problems and removed the front "grill" from the bust to make it easier to drive with it without it getting stuck. Increased the vehicle engine sound distance. Players now hear cars from further away. Increased the vehicle claxon sound distance. Burning vehicles now have sounds. You can now switch between free and locked camera modes when driving vehicles, use space to toggle on /off. Added a green hit marker for vehicles. Cars no longer drive forward when trying to reverse. Backpacks don't render when driving a vehicle. The new ATV (Quad) vehicle is now available! town_diner_01 - Fixed / optimized original model and created LOD's. ski_ski_03_blue - Fixed / optimized original model and created LOD's. ski_ski_03_green - Fixed / optimized original model and created LOD's. ski_ski_03_red - Fixed / optimized original model and created LOD's. ski_ski_03_yellow - Fixed / optimized original model and created LOD's. bld_boardwalk_farriswheel_01 - Fixed a MAJOR problem related to this object. This farris wheel is used in the Caliwood map and was causing MAJOR FPS and performance issues. The whole object is reworked and optimized. Also created LOD's and set render distances. NOTE: The "Seat" objects of the farris wheel are now separated as these were causing most of the problems. bld_boardwalk_farriswheel_seat - Added the seats as new objects and optimized the model. Also created LOD's and set render distances. cali_hedges_tall_x1 - Fixed LOD's and optimized model overall. cali_hedges_tall_x2 - Fixed LOD's and optimized model overall. cali_tree_elm_l_01 - Fixed LOD's and optimized model overall. cali_tree_elm_m_01 - Fixed LOD's and optimized model overall. Cali_Tree_Elm_S_01 - Fixed LOD's and optimized model overall. cali_hedges_x1 - Fixed LOD's and optimized model overall. A lot of work has been done for the translations of the game. We have been finally able to fix / update our current font that now supports Chinese, Thai, etc. We are now able to translate the game in ANY language. This means that if you guys feel like a certain language is missing, feel free to contact us! Special thanks to all the translators for helping out! It's done! The long awaited spray system is finally done! Some players will like this, some won't but just to be clear this feature was something smaller we did for this patch so not much time "got lost" working on this feature! We are very happy with the result. Sprays will work like skins. There will be recipes and players will be able to "learn" those recipes. This means that the sprays are actual items and can be traded or given to other players / dropped in a level. Sprays have to be equipped per character just like the spawn protection color. Players can have different sprays equipped on different characters. Players can only have 1 spray equipped at a time. Players can use the spray by (on default) pressing "b". Players can spray anywhere in any map. Sprays are server sided meaning that when you die or log out from the server the spray will stay. Sprays have a cool-down of 2-3 minutes, after that the spray will dissapear. Players only have to buy the spray once and learn it once. After that they will be able to use the spray infinitely on as many characters as they want. Inside a server you can not spam the sprays meaning there is a short cool-down of around 2-3 seconds before you can spray again. When spraying and spraying again on a new place, your old spray will dissapear meaning players can only have 1 spray at a time. Sprays will also display in the "dead" menu. For example when a player kills you and you see what weapon he killed you with, it will also show what spray he had equipped! Leaderboards. There is still some work left to be done, for example: Battle Royale is now only wins. We plan on adding more stats. Fixed the "Small Code Locker" item description. Removed the part that says you can only use this item in private servers. Fixed the normal "Riot Shield" item weight. Reworked the clan skins of the clan "ZT3X" due to the fact that they were the winners of the tournament. Updated the "Tactical Weapon Crate" item name to "Tactical Weapon Case". Updated the "MP5/SD". You can no longer attach barrel attachments to this weapon. Updated the "IMI TAR-21 Chrome" iron sight. The iron sight of this weapon is now also chrome. Updated the "IMI TAR-21 Hynx" store icon. Updated the "K. Style NVG Destruction" store icon. The icon should look "more bright" now. Added a new media Riot Shield: "Riot Shield Skillerfreak". Added a new clan Riot Shield: "Riot Shield ZUPB". Small Code Lockers no longer have physics. This is so that lockers can no longer ever be abused as shields or for blocking zombies to get up somewhere. The removal of the physics should fix a lot of issues. Added a new "Ghillie Suit" skin called: "Ghillie Suit Camo". Added a new "Ghillie Suit" skin called: "Ghillie Suit Snow". Added a new "Ghillie Suit" skin called: "Ghillie Suit Chrome". "Heavy Armor Fallen Angel Vindicator". The Alien Super zombie will now always spawn every night. Based on feedback from the community we figured out the timers on the zombie were broken and not working as intended. Let us know if you have any more feedback about this! Leaderboards have been updated and there now are: weekly, monthly, seasonal, all-time leaderboards for this game-mode. More information can be read above earlier in the patch notes. Reviving your character is now free. Since the change in the car spawner system (read above more info) vehicles are now spawning in Open World maps. Increased the overall brightness in night time. Based on community feedback we have decided this. Night time was too dark. Fixed / Improved the overall fog settings. Fog should overall look better now. Fixed some render distance problems related to some bushes. They should load normal now. Fixed some terrain issues around the Nato Military Base area. Fixed some miss-placed objects around the Nato Military Base area. Removed some miss-placed rocks around the Nato Military Base area. Updated some terrain layer textures. One of them was using the wrong texture. Updated the terrain texture tile resolution for the "potato" settings. This should increase FPS and performance for players playing with this setting. Fixed an issue next to Camp Splinter where there was some issues related to the water. Fixed a rock around Campos City where players were able to glitch inside. Fixed some render distances of some objects that were incorrect. Fixed some terrain texture resolutions. Removed all the small trees from the map based on community feedback. Updated / Improved the overall shadow settings. Players should be able to load in the map faster now. Released and now available for players! The Battle Royale safe zone radius range is now updating properly for spectators. The safe zone now decreases slowly instead of instant. This is a big improvement in Battle Royale as this was causing a lot of confusion to players. You can no longer see the player / tab list in Battle Royale. We have replaced this menu with a statistics screen. We have done this since this menu is not really needed by players and by doing this we prevent streamers from getting stream sniped better. Vehicles in Battle Royale now use more fuel. This to counter vehicles better and hopefully this will result in the game-mode to be less about cars and more about game play. We have also done this based on feedback from the community. The Battle Royale safe zone flag is no longer floating. The flag should align properly with the terrain now. Added current and next safe zone information to the small minimap in the in-game UI (bottom left). Stamina will now refill every time a Battle Royale starts. Arizona V2 is now officially released and replaced with the original Arizona map. Enjoy this brand new reworked Battle Royale map! Let us know any feedback you have on this new map! Fixed some flying rocks at the Airport area. Fixed some flying trees at the Direfield area. Fixed some render distances on some smaller objects. Updated the minimap. The water should look better now. Updated player spawns. Overall moved spawns closer to lootable area's. Updated / Improved the hills around the Direfield area. Players should be able to climb the hills easier there. Optimized / Improved the loot on the small island in the middle of the map; only weapons were spawning there. This is fixed now. Added some rocks inside the water around the island in the middle of the map for players to have more protection against other players. Private servers are now available for renting in Survival. For the next upcoming patch we do plan on improving the survival game mode a lot. Expect a DevBlog about the new survival map very soon. Stay tuned for more updates. We are sorry for the fact that this update does not contain so much for survival other than the private servers. The launcher of the game has been updated. Players now have, next to the "cross" to close the launcher, a settings icon. Here players will be able to do useful fixes for their game. For example: Clear the game's temporary files, reset all the settings back to default and add the game as an exception to your firewall. Fixed some issues to the registration of accounts on our website. Also fixed some issues related to the "capchta". Estimated patch size: 370 mb. Patch ETA: February 8, 2018, around 10-11 AM (CET). again, why would you add private servers for survival if allmost the whole survival community is against it? i dont get it. agree, the whole survival vibe will be gone, it will hurt the community more than it will gain for sure imo. i am confused. 1st you stated, " Players can no longer use car spawners in official servers anymore. Players can ONLY use car spawners in private servers now." but then you say, " Since the change in the car spawner system (read above more info) vehicles are now spawning in Open World maps." are the vehicles that spawn in OW driveable, or are they loot that we pick up and store in our Inventory, to then use in Private servers?? thanks. why does it first say, "Players can no longer use car spawners in official servers anymore. Players can ONLY use car spawners in private servers now." it will be like survival.. u cant spawn vehicles as and when u like. there will be vehicle spawn locations where they will spawn. Because they're not all against it. Funnily enough, there are those of us that love the PVE side of the game and hate the PVP side, so when we say "survival" a lot of us want more PVE than PVP, PVP is expected, but when it completely overtakes the PVE side it gets real boring for us. So with the private servers, I can invite my friends and play purely PVE with the harder loot and drop rates, which for me, is more fun that logging into a survival game and being killed every 10 minutes by some try hard PVP player. Dude its lame cuz there is no danger in private servers at all. On DayZ etc u still habe to loot on populayed servers and be aware of your surroundings. And how quick did H1Z1 and DayZ hype die out. Yeah. A lot of people don't like being killed 24/7 when just trying to loot bro, get over it.